This year feels so special here in Philly as I'm co-hosting a holiday market with Rally and a curated group of some of my favorite artists and designers here in Philly. Since living in Philly these last couple years the creative community has been so welcoming and encouraging, it feels wonderful to be celebrating the holidays with such a talented group of women! The event will be held in the beautiful Rally space, Thursday, December 7th from 7-10 pm. They'll be light bites, drinkies, and a raffle benefitting the People's Emergency Center. If you're in Philly stop by for some lovely gifts and support local! Before the event I thought I'd share a little bit about each of incredible women who are participating. You can click through to each of their websites to see more of their work. Hope to see you at the event if you're in Philly! Scientist, traveler, supporter of the arts, communications strategist and overall Philly Lover. Emma Fried-Cassorla spent 4 months paper cutting the entire city of Philadelphia and from this endeavor, her custom, laser-cut Philly maps were born. 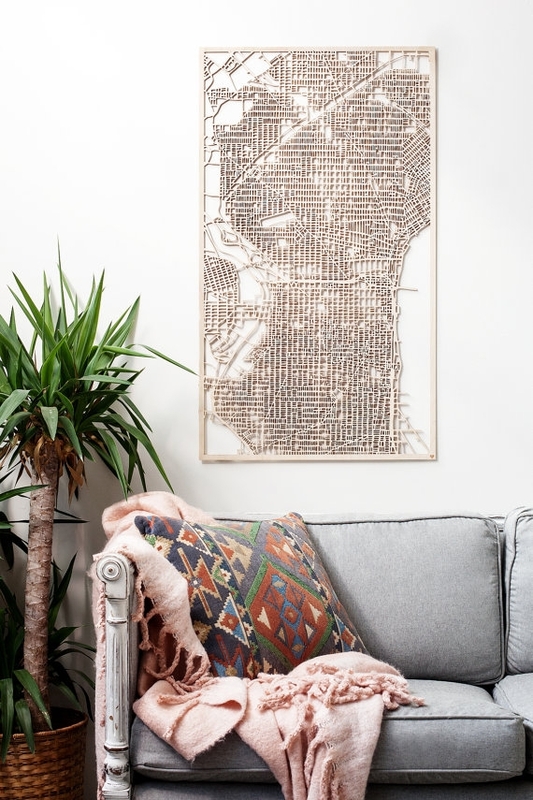 Her made to order maps can be customized with your favorite neighborhoods, first date meetup, weddings, first homes, jobs, or anywhere else you’d like to note a favorite spot in the city. Philadelphia native Ronni celebrates the beauty of nature through her floral inspired fossils. She often sources her flowers from her local flower shop, flower farms, trail walks, and her neighborhood, even venturing to knock on a stranger’s door to talk about capturing a perfect specimen from their garden. Individually designed and cast in a concrete/plaster mix her one of a kind sculptures freeze a moment in time and highlight the subtle beauty of Mother Nature. Dorene Reggiani designs and creates one of a kind jewelry pieces from her studio in Philadelphia. Her organic forms and natural materials create beautifully subtle pieces while textures created through the process of forming the piece become an integral part of the design and highlight the unique and beautiful imperfections of her craft. British-born artist Carla Weeks’ paintings, textiles, and murals are informed by her interactions with both natural landscapes and the built environment. Through distillation of pattern and form her 2-dimensional designs communicate a sense of place that is both graphic and serene. Her work spans a broad range including paintings, murals, wallpaper, and textile designs. 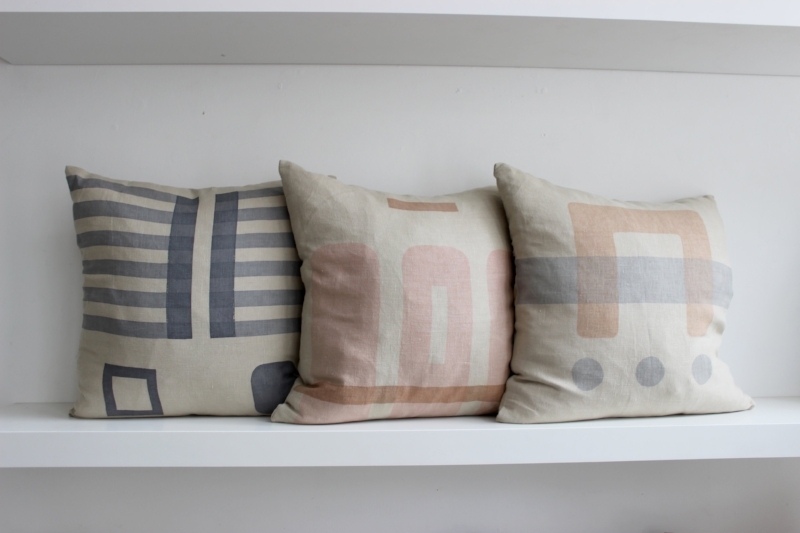 Most recently she has completed designs for a line of pillows that can mix effortlessly into your living spaces. Jannalyn is continually experimenting with color, pattern, and form in her ceramics line, Curious Clay. 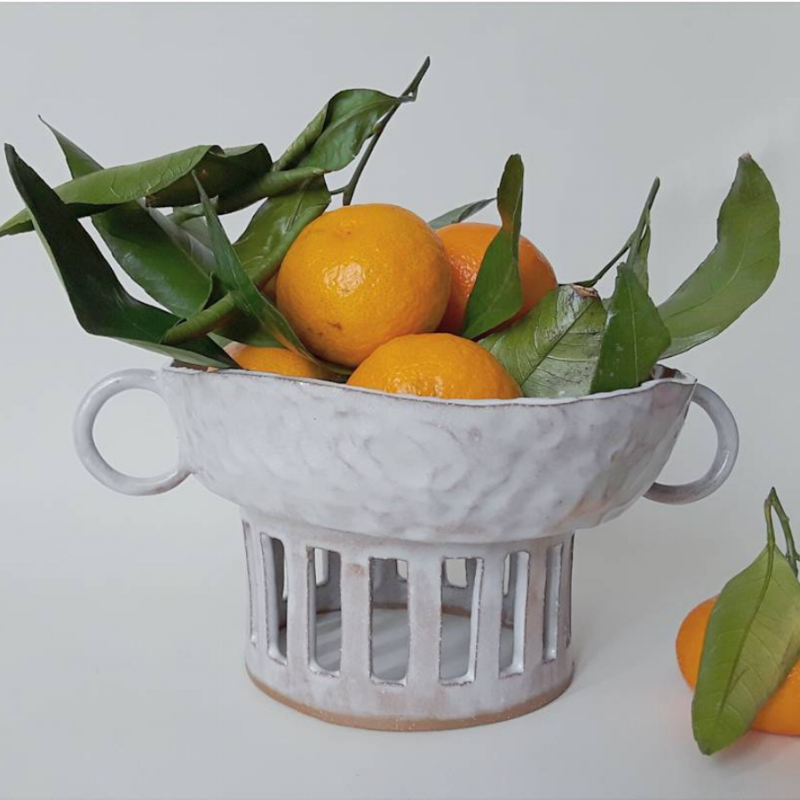 From wearable art to mini planters, mugs, and spoons, the pursuit of creative exploration is evident in her delightful ceramic forms and glaze combinations. Her fearlessness in experimentation makes each piece one of a kind. This Friday, February 5th, we’ll be at United By Blue in Old City for First Friday. We’ll have a selection of rustic modern reclaimed lath mirrors, wee forest planters, reclaimed wood bowls, and some of our new steel hooks. Hope to see you there!